Lincoln University has two choirs. Michelle Gamblin-Green leads those choirs and is featured in this week's Thinking Out Loud. Lincoln University junior Kevin Wade is majoring in business administration. He is heard on this week's Thinking Out Loud discussing where he sees his future headed. Cindy DeOrnellis works at Lincoln University's Busby Farm. The farm hosts a field day on June 3. Dr. Kevin Rome Sr. is the nineteenth president of Lincoln University. He and other members of the campus community are featured in this week's Thinking Out Loud. Listen to a profile of Jefferson City's Lincoln University on this week's Thinking Out Loud. Founded after the Civil War by black veterans, Lincoln University has - for now over 140 years - served students of all races and backgrounds from across the globe. On this week's Thinking Out Loud, KBIA's Trevor Harris visits with members of the Lincoln University community about the school's present strengths and future aspirations. Lincoln University staff and faculty extend invitations to check out what's going on at the school this spring. The universities' spring choir concert is at Richardson Auditorium on the Lincoln University campus on Friday, May 1. Contact the School of Music's Michelle Gamblin-Green for more information at (573) 681-5462. Lincoln University's Busby Farm hosts the 2015 Alternative Agriculture Field Day on Wednesday, June 3. The event includes farm tours and workshops on organic pest management and more. For more details on the field day contact Regina Thompson at (573) 681-5312. An administrator at a college in North Carolina will become the new president of Lincoln University in Jefferson City. 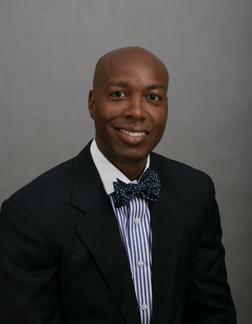 Lincoln University curators announced Friday that Kevin D. Rome will be the school's 19th president, beginning June 1. The administrator recently named as Lincoln University’s new president says more funding and national recognition are two key goals he has for the university.